Home World Affairs Trump hails fall of Islamic State ‘caliphate’ in Syria. Trump hails fall of Islamic State ‘caliphate’ in Syria. US President Donald Trump welcomed the fall of the Islamic State group’s five-year &quot;caliphate&quot;, but warned that the terror group remained a threat. 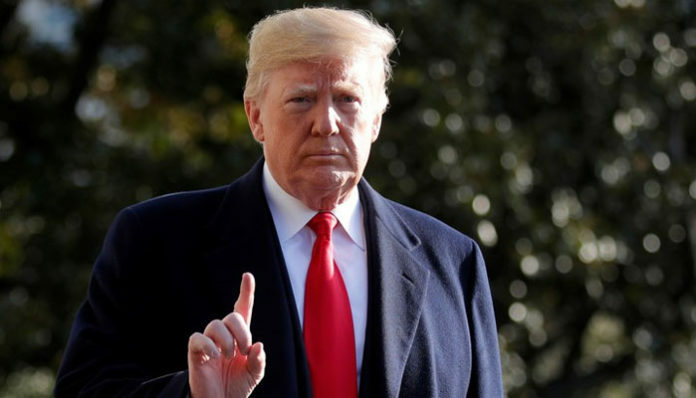 Mr Trump’s remarks came after Kurdish-led Syrian Democratic Forces (SDF) raised victory flags in the Syrian town of Baghuz, IS’s last stronghold, according to a BBC News report. He said the US would &quot;remain vigilant until [IS] is finally defeated.